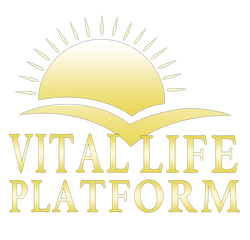 Probiotics - Vital Life Platform | Better Than Ever! Our unique patented Probiotic Blend is a powerful combination of specially stabilized, modified microorganisms called L. Acidophilus DDS-1, L Planitarum, B Bifidum, B Longum, Bacillus Coagulum. These friendly bacteria flourish in the small intestine and offer many benefits. CLICK HERE to get Your Probiotics Today! 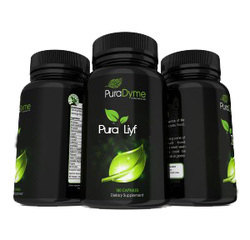 PuraDyme’s PuraLiyf Probiotics are actually enzyme enhanced Liyf Biotics! Combining all the health benefits of Probiotics with the proteolytic capabilities of enzymes, this formulation is the perfect supplement for those suffering from extreme ailments! What Makes Our Probiotics Superior? Probiotics are key elements to our overall health and wellbeing! These living bacteria work as balancing agents for non-friendly, pathogenic bacteria that often live in the digestive tract and are the root cause of many of the chronic ailments we suffer from today. Probiotics such as L. Acidophiilus actually work to create a natural form of antibiotics in the body, helping increase our body’s ability to produce anti-microbial action against the pathogens found in the FOODS WE EAT, AIR WE BREATHE, & the things we come into contact with. PuraLiyf Probiotics excel far above the rest! We combine five synergetic strains of friendly bacteria that are enzyme enhanced with proteolytic enzymes! PuraLiyf Probiotics are the perfect supplement to boost your body’s natural probiotics that have been destroyed by everyday stresses, unhealthy lifestyles, or acidic diets.